While the use of emails as a marketing strategy is an important tool in the company’s arsenal, it is the content of the email that really matters. The way the email is worded will either attract a person’s interest, or result in them ignoring it altogether. Human nature being as it is, people would much rather receive an email that features a person of interest’s views of your product, rather than an email with a coupon or voucher demanding they use it, and quickly! Let’s take a look at how a company can utilize the connection between their products, and a well known person, using an email as the marketing tool. If you are in the business of selling, for example, food, it will not be an effective email campaign to use a person of interest who is perceived to be overweight. Also, a surprising number of businesses will use celebrities and instantly recognizable people to sell their products – even if they have no clear connection to them. This results in the customer simply wondering how much the company paid the celebrity to take part in the promotion. A clever company will do some research, and narrow down a list of potentially interesting people – who have some kind of connection with their products – until they have the one they wish to approach. Bear in mind at this point that an interesting person is not necessarily a well known celebrity, but someone who has a proven track record of excellence in their particular field. Although some kind of recognition usually follows this, it is not always the case. Most successful business people have one thing, which is precious to them. Time. Sending a generic email to a person of interest and asking them to help promote your product will simply be ignored, like most of the hundreds of emails they receive daily. The trick is to stand out from the rest. Many business experts love to hear how their advice has been used – and what results were achieved. From here, if you continue to be diligent, a relationship can be built up which may ultimately end in them agreeing to promote your business services. Due to the success (and exposure) some people achieve, it is natural for ‘normal’ people to emulate this success. Opening an email, which includes some words from a person they perceive to be a success will grab their attention from the start. It also ensures they will read, and think about, what you have written. 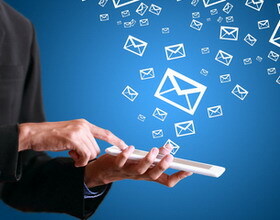 Consider structuring the email so that it is direct and to the point at the beginning. Then, introduce your person of interest either by quoting them, or providing a link to a short talk done by them, ending the email with a call to visit your own site for further information. Done in the right manner, this can be incredibly effective. People like to follow the examples of successful people by association, if possible. Getting an email from a company who has a person of interest chatting about why they think your business (or product) is the one they would choose over others, will kick-start this association, and result in the person looking into things further. When asked at the end of the email to visit your website, the response rate will be excellent. Be careful not to overload your email with excess information; make sure it is trimmed down to just cover the basic points, along with the person of interest’s words, and allow the recipient to explore your site on their own. With the idea that their person of interest may be doing the same, the chances of greater exposure – as well as increased sales – are greatly enhanced.